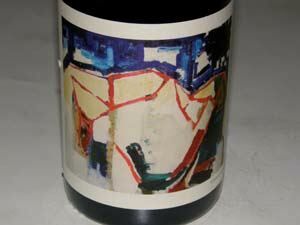 This winery was founded by Gavin Chanin who studied under Jim Clendenen at Au Bon Climat and Bob Lindquist at Qupé. He worked his first harvest at age eighteen at Au Bon Climat and three years later made his first wine. He then left for some harvest experience in New Zealand and South Africa. He produces his wines under the Chanin Wine Company label in the same facility in Santa Maria that houses Au Bon Climat and Qupé and is also the assistant winemaker for both labels. Jim Clendenen, Bob Lindquist, Adam Tolmach, and Tony Chanin started at Zaca Mesa Winery. Zaca Mesa was built in 1978 and was one of the earliest wineries in the Santa Ynez Valley. Tony Chanin is the nephew of Ed Lazarus, one of the original editors of the old Underground Wineletter and today a contributing editor for the new Underground. When Clendenen and Tolmach founded Au Bon Climat, Tony Chanin went back to his family's business and in 1991, Tolmach left Au Bon Climat to start The Ojai Vineyard. Gavin Chanin, Tony's son, started working summers at Au Bon Climat after graduating from high school in 2004. In 2009 he graduated Phi Beta Kappa from UCLA with a major in art and started working full time at Au Bon Climat and Qupe. His winemaking goal is to pick grapes early to limit the alcohol and preserve a wine's expression of terroir. 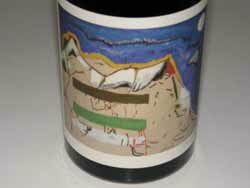 The first Chanin Pinot Noir was released in 2009 from the 2007 vintage and sourced from Le Bon Climat Vineyard. In 2008 he added Bien Nacido Vineyard as a Pinot Noir source. 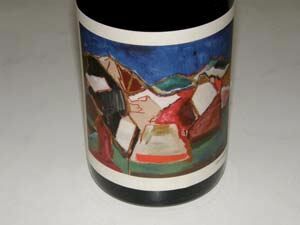 The emphasis is on elegant, restrained Pinot Noir and Chardonnay from Santa Barbara County. Gavin Chanin grew up tasting the classic wines of Europe since his uncle was a major wine collector. He eventually embraced those styles in his own winemaking. 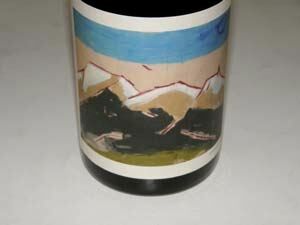 The bottles are literally works of art as each bears a painting done by Gavin Chanin the artist. Chanin wines are available through a mailing list with some retail distribution.